The Poverty Footprint Index is a people-centred approach to assessing business impacts on sustainable development. The United Nations Global Compact and Oxfam International collaborated to understand the impacts of companies' operations and value chain on people and poverty, and to turn this learning into action. The value of the Poverty Footprint is its ability to provide business and CSOs with the framework to partner and learn where and how a company impacts poverty, leading to recommendations for action. It provides the roadmap for partners to define steps to minimise negative impacts and enhance positive contributions to poverty eradication, and to develop pro-poor business models that drive development and potentially business growth. 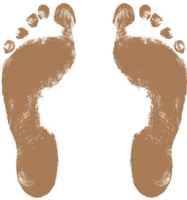 Check out the full Poverty Footprint publication for more information.